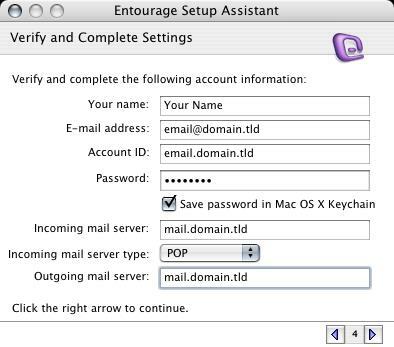 At this point, Entourage will open to the 'Entourage Setup Assistant' to help you setup your email account. 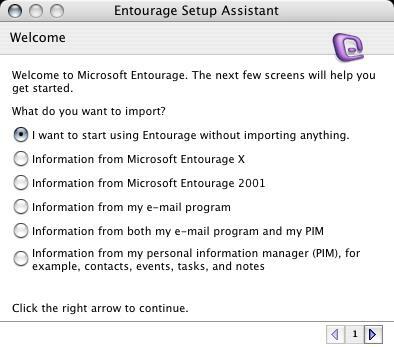 Put the dot in 'I want to start using Entourage without importing anything' and click the right arrow to continue. 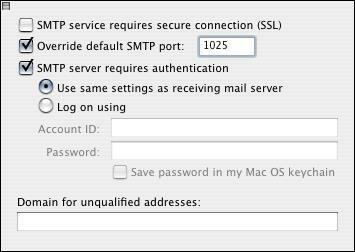 This does not mean that there is a problem. 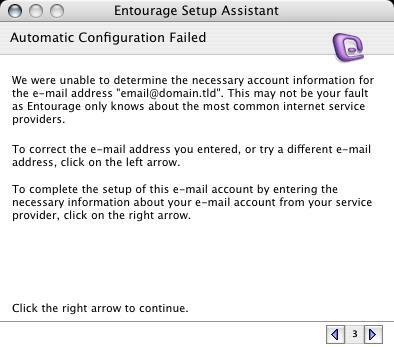 This error means that Entourage tried to find out the server and settings from it's database but could not find it. 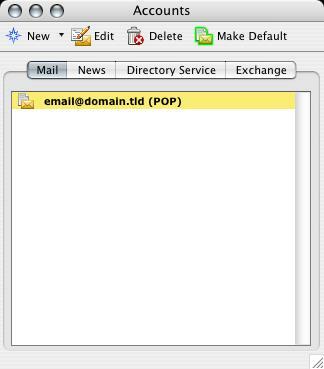 Make sure this is set as 'POP'. 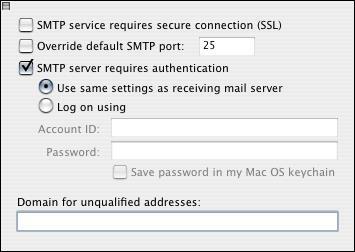 This option that Entourage provides may or may not work properly depending if your ISP blocks outgoing mail on port 25. 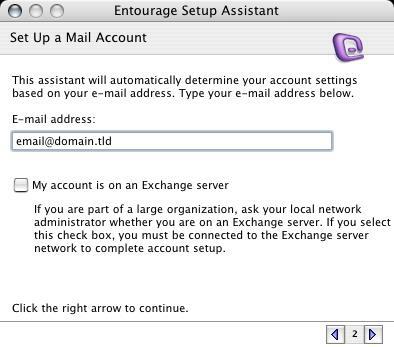 Make sure that 'Add this new e-mail address to your "Me" contact' box is checked. 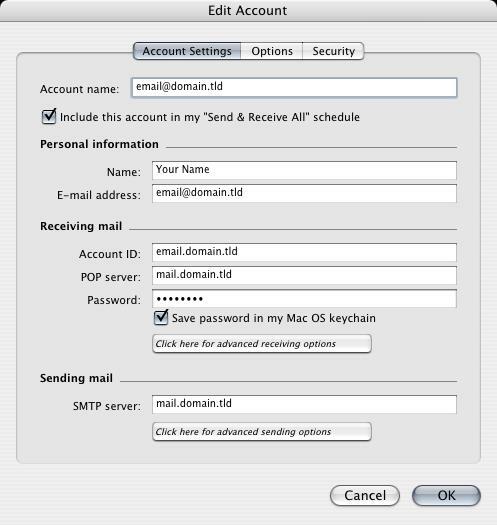 Make sure that 'Include this account in my Send & Receive All schedule' is checked. 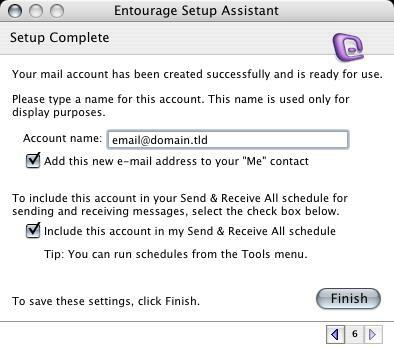 Click the 'Finish' button to close the 'Entourage Setup Assistant' and open the 'Inbox'. 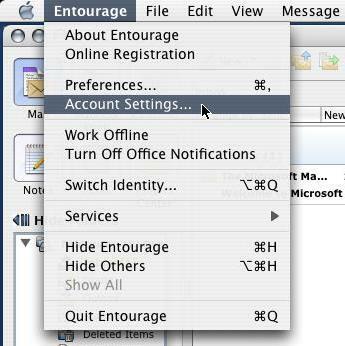 Click the top left square to close that window and return to the main 'Edit Account' screen. 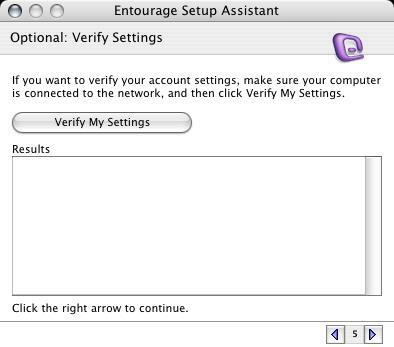 Click 'OK' and then close the 'Accounts' window.